On Friday evening, a somewhat shellshocked president retreated to the White House residence to grieve and assign blame. He asked his advisers repeatedly: Whose fault was this? ... Increasingly, that blame has fallen on Reince Priebus, the White House chief of staff, who coordinated the initial legislative strategy on the health care repeal with Speaker Paul D. Ryan, his close friend and a fellow Wisconsin native, according to three people briefed on the president's recent discussions. 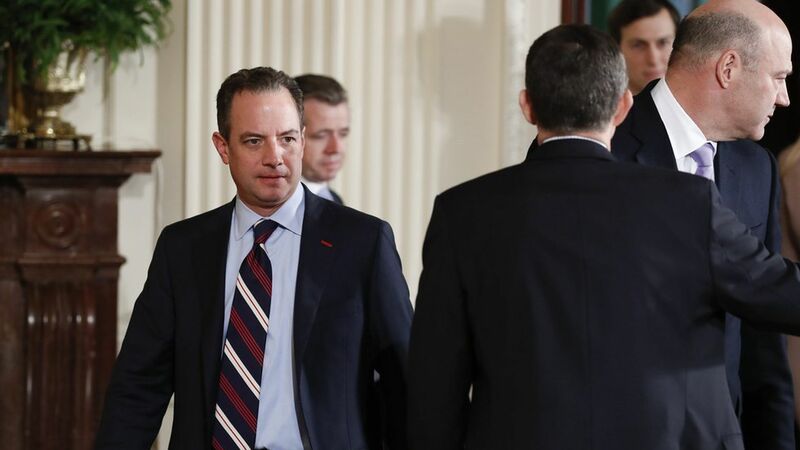 Why it matters: There's been an ongoing campaign from people outside the Trump administration — including people who regularly have the president's ear — to get rid of Priebus.